Thrill to the thunderous sounds of the taiko (Japanese drum). Toni Yagami brings an exciting “Matsuri” (Japanese festival) to your stage. 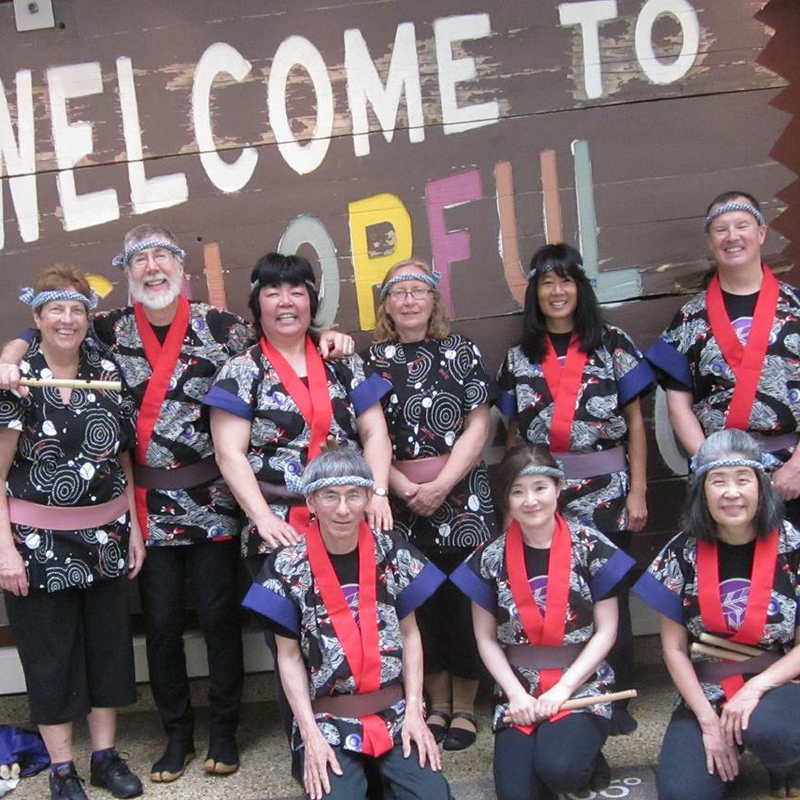 The festival sound of Japan– from traditional songs to contemporary compositions; folktales to cultural facts; lullabies to American traditional jazz and swing; folksongs to classical music pieces – her “Matsuri” performance entertains and educates. 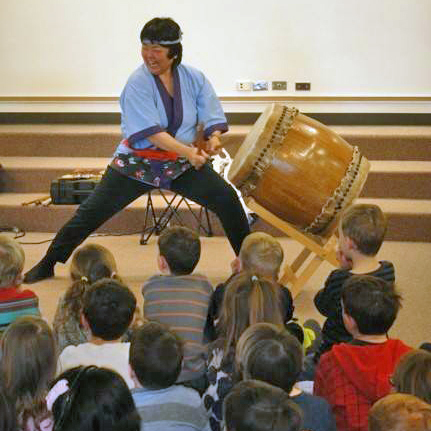 In traditional costume, using taiko drums, various hand percussion, bamboo flutes and occasionally the koto (Japanese harp), Toni and her troupe delight audiences all over Denver and Colorado. They perform for concert and festival stages, school assemblies, dinner parties, conferences and conventions, lecture demonstrations (“lec-dems”) and workshops. Toni Yagami shares her Japanese – American heritage as well as her knowledge of Japan’s culture and music. 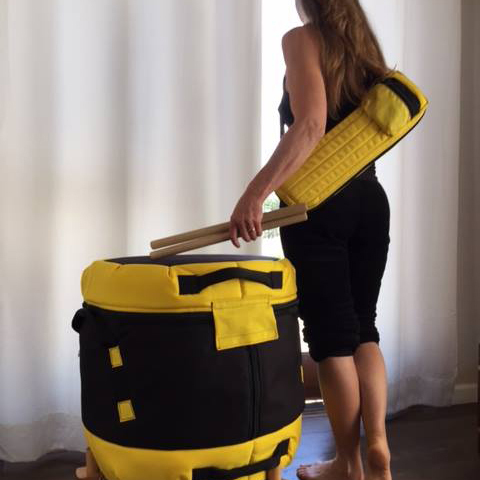 Yay, BIG MAHALO for my custom made taiko bag from Toni Yagami at “Taiko with Toni” for customizing the bag and another BIG MAHALO to my sis Lynn Uyeda with the idea and thank you both for my colors…beautiful!! Once again you out did yourself with you taiko drum performance! Thank you so much for your fabulous demonstration and sharing so much of the Japanese culture to our students. I love watching you perform & your gracefulness when beating your drums. The interaction you had with the students was tremendous! Thank you again for sharing your talents & culture with us!